We are located on E Sunset Rd just past S Pecos Rd. Right behind the American Pet Hospital, next to Joleon Salon and Day Spa. 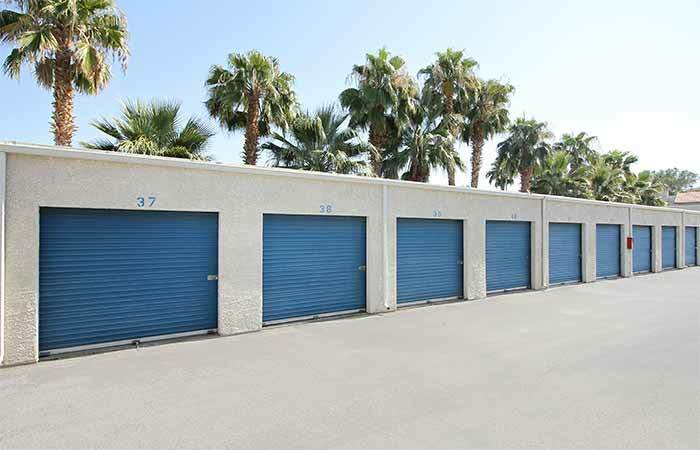 Businesses and residents in Las Vegas turn to RightSpace Storage time and time again for superior self storage options. We offer the best discounts in the area so you always know you’re getting your money’s worth. Plus, we have extended access hours from 6 a.m. to 10 p.m. every day so you’ll never feel too far from your belongings. Beat the extreme temperatures by choosing one of our climate-controlled units. They ensure your belongings won’t deteriorate going from hot to cold temperatures. Our most convenient units to move in and out of have drive-up access. Run out of moving or packing supplies in the middle of your move? We sell them right here in our office that’s open Monday through Saturday from 8 a.m. to 5 p.m.
Make sure to take advantage of our online bill payment option so you don’t have to phone it in or stop by our facility every month. Find our facility on Sunset between Annie Oakley and Sandhill Road toward the back of Sunset Plaza. We’re near New Community Church, Rachno Ocaso Apartments and Sunset Park. We serve the businesses and residents in the Las Vegas, Green Valley North, McCarran International Airport and Whitney area. Give us a call today to learn more about storage solutions! 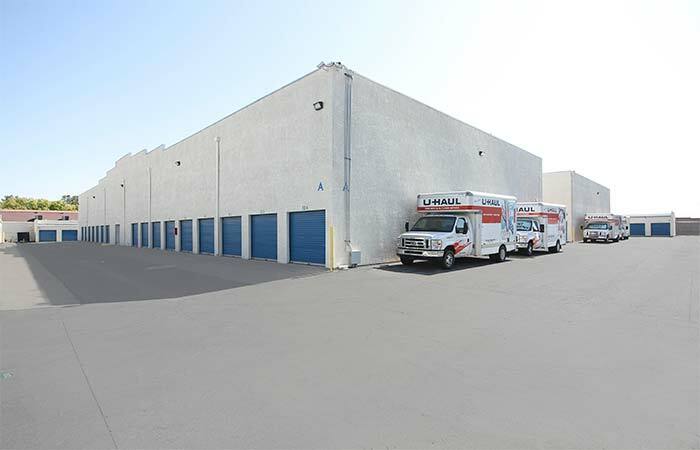 4375 E Sahara Ave Las Vegas, NV - Offering drive-up access and vehicle storage options. Serving residents and businesses of Sunrise Manor, Las Vegas, Henderson and all other nearby areas. 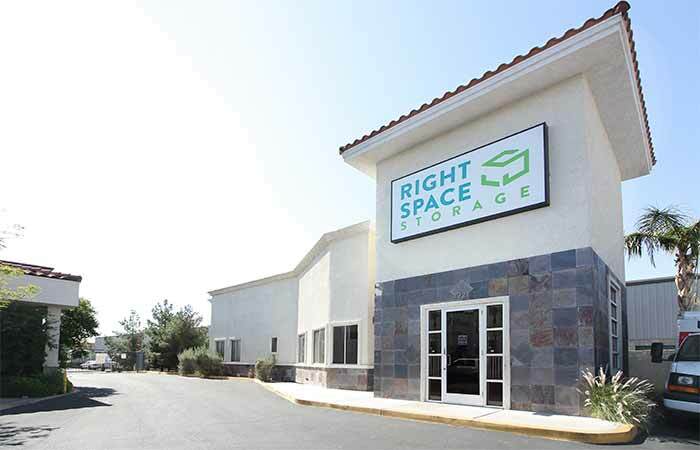 Previous Customers Please Note: RightSpace Storage of Las Vegas, NV formerly operated as "Store More! Self Storage." While we are sad to see Store More! 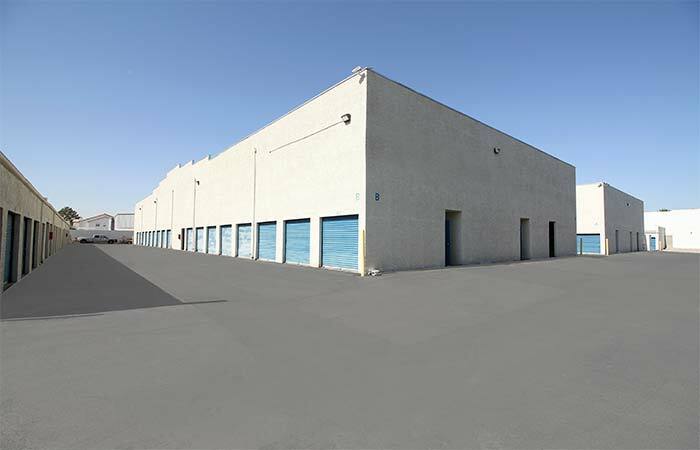 Self Storage go, we are excited to have the opportunity to better serve you and the local Vegas community. We are pleased to say we are the same staff, same management, and same reliable storage team you know and trust. So please don’t hesitate to drop by and say hi! The girl in the office was great, helpful and professional. My only complaint, the place could have been cleaner, for example, the elevators were pretty bad. Great service but no public restroom ! There was a sign on the door that said "No Public Restroom" Wasn't sure if this was for customers too so we went to a gas station. Not a good thing. If it was for customers maybe a sign that says "Restrooms for Customers Only"
Great service but no public restroom ! There was a sign on the door that said "No Public Restroom" Wasn't sure if this was for customers too so we went to a gas station. Not a good thing. If it was for customers maybe a sign that says "Restrooms for Custmoers Only"
Perfect place. Easily accessible and the staff were very friendly and helpful. professional and friendly staff fast and efficient check in, 2 thumbs up for them. Great customer service and very clean units. I put a reserve online then went to the location to check-in and it was that easy. The staff was very helpful and kind. The lady upfront even walked me through the process of how to use the gate access and showed me to my actual storage location, I was really stunned. I don't think you'd receive the same level of customer service anywhere else. The price are much more manageable in conjunction with the size of storage you're seeking. I highly recommend you give them a try and compare them to other storage facilities. You won't regret it. They have the best price in Vegas. The location is great and easy to find. The staff is friendly. Friendly staff, upfront pricing, overall a great experience! I have dealt with this company over a year now and the staff has always been friendly and knowledgeable. BEST CUSTOMER SERVICE!! Thank you Jessica (Sunset Location originally)! Great facility...best prices, friendly staff. Jessica is always very helpful! I have been storing at this location for a year or so. The staff has been very nice and accomadating. Easy entrance and exit. I would recommend this site to my friends. I have been with this storage facility for a couple of years now. They have always been very nice to me and my daughter, taking care of our every need. I would surely recommend it to anyone in the neighboring area! Fast, friendly service. Even though hours are limited, it is surprisingly convenient. The usual carts are there for anyone to use and they have freight elevators and timed lights to make things easier. I would recommend bringing your own flashlight though as there are no lights inside the units, just the hallways. unit 1050 is awesome for te price. love facility and proessionals on staff. highly recommend the best price in town for the size. I've been storing my things there since 2009. Overall, I'm pleased with the staff and the facilities. The manager onsite is super nice and willing to go above and beyond. Their rates are unbeatable, but more importantly I have no doubt that the things I have stored are safe and secure. You just can't put a price on peace of mind. I've been a customer since July and this is my first storage unit. I was able to get a great rate from a summer special. Actually, the rate was so low that people are still shocked. I was a little worried that my stuff (about one studio unit of items) would fit, but because the units are 10' tall, I had no problem at all stacking the boxes vertically with lots of room to spare. On check in, the staff was very friendly and helpful and took their time to make sure I didn't get lost and answered all my questions. Overall, I would recommend this business for fast, easy and economical storage. Can't beat the price. Office staff is wonderful- very friendly and answered all my questions. I feel safe storing here. I was skeptical at first after reading the reviews, but I thought I'd check it out anyways. Staff was able to show me the cameras are working. Elevators and push carts for upstairs units. Older property, but well kept. They also rent trucks, which is very convenient. The hasp on my unit was stuck. They only have maintenance 1 day a week, but it was fixed and I was able to move in on time. The 2 girls in the office were very helpful, they made me feel very welcome. Thank you StoreMore for making my move easier! Price is good. Clean facility. A/C controlled. No problems on entering. The staff is always friendly and helpful. OUr property has not been disturbed, the facility is secure and is conveniently located from our home. 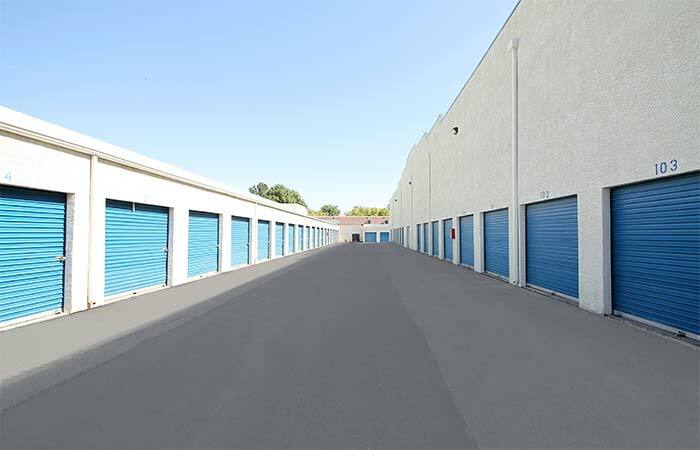 As a previous builder and owner of a self-storage property myself I can tell you that this property is really worth your while to look into if you need a storage unit. The staff was well informed and courteous and in a competritive market such as this it is a refreshing change to see such helpful and lovely energetic help from staff members such as these. God bless them and keep up the good work. I had the worst cross country move ever. The ladies at the Sunset Rd location were so accommodating when I had to change the date and re-book, then when the movers seemed shady, they helped change my gate code etc. They also seemed to have the best prices and promotions. StoreMore was the easiest part and least stressful of this move! THANK YOU! The office staff has always been friendly and helpful. Jessica was very helpful and patient with me when I had to possibly move my items in after hours. Staff was great when we set up our storage unit and helping me when I could not get my gate code to work. Courteous Staff, Very Clean and C-C-C-COLD. Your belongings will never know they are in the desert. 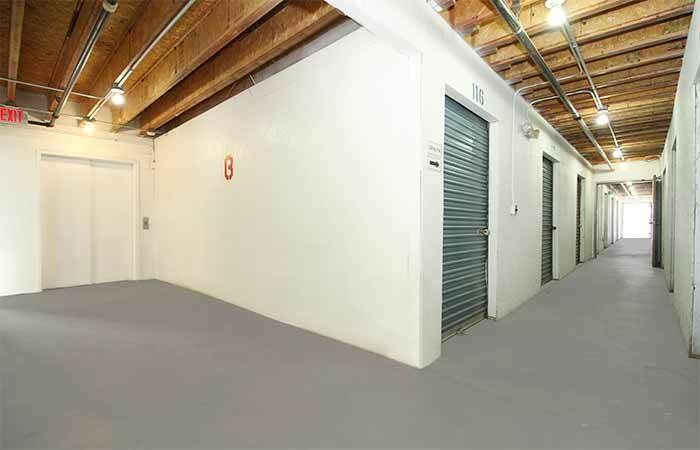 I have been renting a storage unit from Sunset Storage for over 15 years. Have never had a problem with security or cleanliness. Conveniently located, friendly, courteous staff and clean, climate controlled spaces. What more could one want from their storage facility. I rented a unit a few months ago. They are clean, well lighted and I am very happy with my decision to store my things here. I would recommend Store More! if you are looking for a very nice place. The prices are very good, it's convenient and Jessica in the office is very nice. Nice size lockers for most needs. Secure, Convenient, and Clean Facility. Ive rarely needed to utilize a storage space, but when I did, I was surprised and grateful of the staff at Storemore........ The staff members gave me confidence - they are available for advice and the facility is convenient and well-maintained. Thank You Storemore! Jessica was very friendly and offered a good deal after I mentioned a few coupons that I saw online. Sunset mini storage, convinient,clean, manager there has quality custumer service even at busy moments.???? Great staff and great prices. Customer service always on point and never had any issues with my storage unit whatsoever. I like how the property is secured yet price is still reasonable! I can't believe what great customer service I received . I came in June 16th 2014 looking for a unit and management was very helpful.. they have the best prices in Las Vegas. We have been with store more for a number of years , it is very safe and clean the office is always there and ready to help you with any questions you may have I would reccommend them to anybody that has storage needs. Store More was fantastic. Lorena was very helpful and went out of her way to make me feel welcome. 'The company was very accommodating. But the best part was that they were literally half the price of Public Storage. I was very happy with Store More. Since I have opened my account here, I have been blessed to have the most wonderful storage manager ever help me with all of my needs. 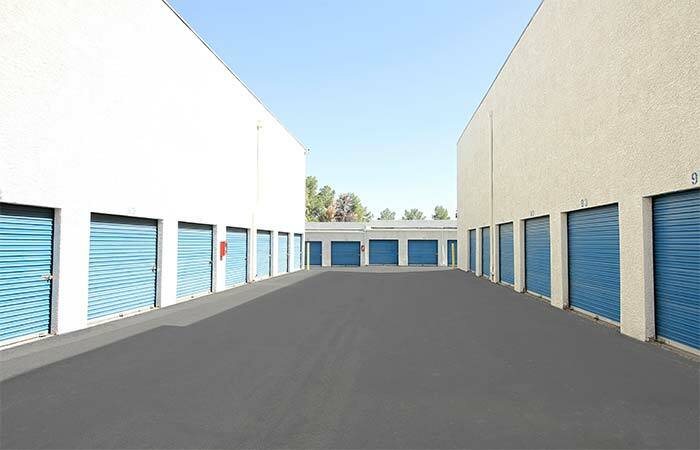 I have had 4 different storage units in my life at 4 different locations, and I have never been treated with such respect and I will continue to keep my unit here for as long as the management does not change. Thank you soo much Lorena for everything! Front staff is friendly and professional. Clean facility in good condition. Friendly staff. I feel that my belongings will be safe and secure at this facility. Pleasant well maintained and secure facility, access is easy from the highway even with larger trucks. Always kept cool and dry despite the intense heat outside. I would highly recommend this self storage company. very clean, quiet, and friendly environment! This is a great facility with clean units & great management. I have multiple units within the facility and each unit works properly and has easy access. The front office is very attentive and helpful regarding any questions you may have. Highly recommend Store More! Self Storage - Sunset LV! BEST PLACE EVER!!! Lorena is the best!! She helped us with everything we needed in a timely manner. Very polite!! I definitely will recommend this place to my friends!! Thank you STORE MORE!!! I have totally been satisfied with the service I have been given here. The reps are all very accommodating and pleasant to work with. I have recommended your facility to lots of my co-workers. Store more has been very good to me. I have been storing with them for over 13 years and now that store more has new management they are very an d nice and good to me. I love this place! The staff is very friendly and professional. The hours of operation are perfect for our business and the manager always goes above and beyond to accommodate us and all of our storing needs. I would recommend this place to anyone who is looking to store their goods. I rent 6 units at this facility. The new manager Lorena has been great at making sure I get the best rates in town! I have been storing with this facility for over 5 years and although we have seen many of the staff members come and go, I really hope Lorena stays. She is friendly and any time I need assistance, she is there to help. We have stored our items here for over a year. This facility has easy password entrance, large passageways and clean surroundings. I have not had one issue with Store more self storage. They were more then helpful, I would and have recommended other to use them. Excellent and convenient storage facility. Fairly priced. good Customer Service. I have been storing with Store More Self Storage and previous name of Sunset Storage for more than 4 years. I have not had one single issue come up. Their customer service and clean facility are always great and have taken care of me the first time. I would highly recommend them for anyone who is looking for long or short term storage. I have been using Store More Self Storage for 6 months. They have been responsive to any requests I may have had and are always friend ly. The location is easy to get to on Sunset. I feel very comfortable in recommending them to others. THIS PLACE HAS BEEN GREAT FROM START TO FINISH THE PRICE THEY GAVE ME OVER THE PHONE IS THE PRICE I GOT! NO HIDDEN FEES! THE STORAGE ROOM IS CLEAN AND SECURE! AND THE CUSTOMER SERVICE HAS BEEN GREAT! I HIGHLY RECOMEND THEM!! This is a well maintained storage facility. It is always very neat and clean every time I go there. The staff is always pleasant and very knowledgable about all aspects of running the facility efficiently . It is also in a great location too. It's close to all major shopping stores. I just signed up for a storage unit today and Lorena was great! Real personable, helpful, and accommodating. very nice staff. Clean environment. I been storing here for several years and I am happy with the prices and the new manager Lorraina is awesome. She is friendly and always has a smile on her face. Outstanding customer service. I would recommend this place to friends and family. Very efficient and the units are clean and affordable. This place is great! Friendly service and affordable pricing. Wouldn't go anywhere else! Lorena was great. Very cordial and professional. 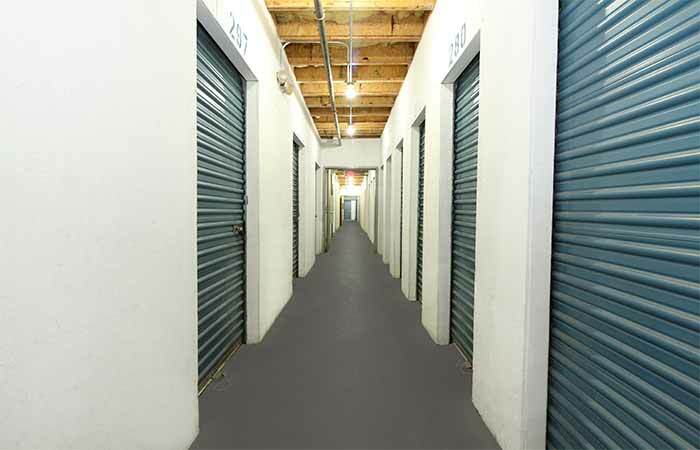 I will definitely recommend Store More Self Storage to those who need a place their personals.